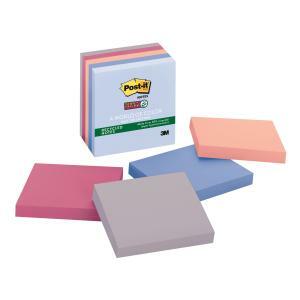 Post-it® Recycled Super Sticky Notes in 76 x 76 mm size support a better future by using recycled paper. Inspired by the colours of Bali this warm palette reflect a journey of discovery, nature and self. Ideal for the ever evolving creative.